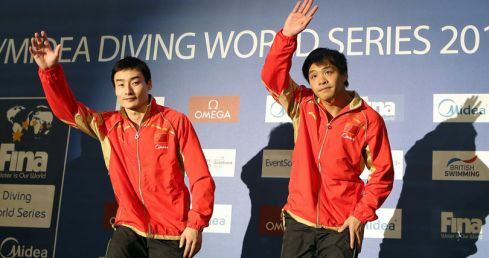 Learn all about the China Diving Team and their World Series history then show your support on Facebook. Select one of ’s top divers from the list below to view their stats and World Series history. Compare one of ’s top divers with one of their World Series rivals. Select your Chinese diver from the first list, their rivals from the second list, then click go! Let your friends know who you will be supporting in the FINA/Media Diving World Series 2014. Your timeline has been updated. Click the button to add your facebook badge to the wall below and show your support for in your timeline. Thank you for sharing your support. Hope you enjoy the diving.